It seems obvious to me now, that writing Charlie’s Worries was akin to making the dread journey through the Mines of Moria – battling the goblins of procrastination, the cave-troll of doubt and then the ultimate enemy, the Balrog of pernickety editing. It’s almost as if JRR Tolkien wrote that section specifically to highlight the perils and torments of writing a novel. So, after two years of scribbling and typing, I emerged from the fusty tunnels of imagination into the bright light of hope and Lothlórien. Galadriel took me to a clearing and showed me some things that have not yet come to pass. I expected to see money raining from the sky and awards and publishers prostrating themselves before me, yet strangely all I saw was fire and ruin. 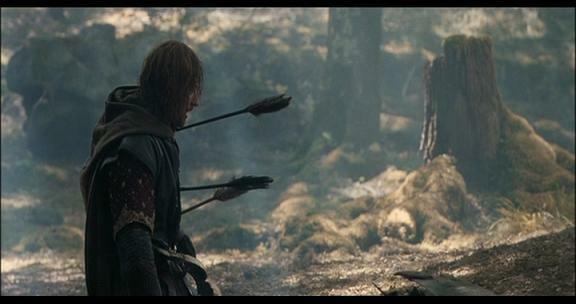 “I know what it is you saw, for it is also in my mind.” Galadriel’s voice echoed in my head, somewhat smugly. “I cannot do this alone.” I replied. So I screwed up my courage and sent out missives to the Gatekeepers of Amon Hen (I think this is what most people call Literary Agents). Then I set out onto the river of rejection with only some biscuits for sustenance. 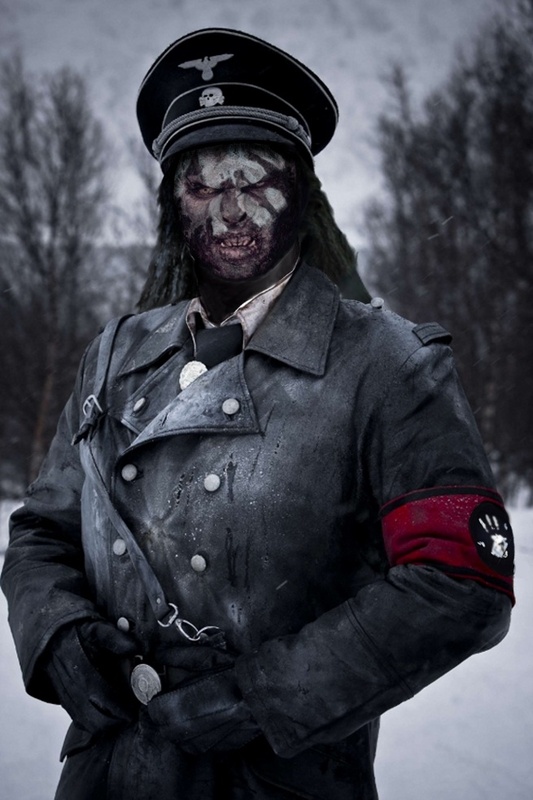 Gatekeepers of Amon Hen – A cross between an orc and a Nazi. I could sense the Gatekeepers chasing me down the banks of the river. Somehow I knew they were there, just out of sight, but always in my thoughts. I imagined them reading my work, gasping at its audacious originality, crying at the pathos, laughing hysterically at the funny bits and then falling over themselves to send me an Email of Acceptance. But this utterly failed to happen. Instead gnarly, black arrows of rejection thumped into my heart. Each one chipping away at my self belief, until now, two weeks after I sent the first email, I lie breathless against a tree with eleven slivers of despair protruding from my soul. So, slightly heartened by these somewhat ambiguous words of encouragement, I determine not only to stagger to my feet and suffer the inevitable sting of bad news, but to write more. I’ve already written nearly 15,000 words of The Book of Lies and I shall use this as a shield against the depressing times ahead. So bring on Sauron, what’s the worst that can happen? This entry was posted in Charlie's Worries, Communications, The Book of Lies, Writing and tagged JRR Tolkien, Literary agent, Lord of the Rings, Rejection, writing. I’m a natural at walking. I can stride, stroll and saunter or tramp, tread and traipse without even thinking about it. My agile mind detects upcoming obstacles and adjusts my gait to stop me from tripping over kerbs or falling down wells. Sometimes though, when I’m out perambulating it occurs to me how complex the act of walking is. I’ve seen videos of sophisticated robots utterly confounded by a rudimentry set of steps, confused to the extent where one of them smashes its face into the floor. And once I start thinking about what I’m doing, it becomes much more difficult. It usually starts with my arms. They start swinging too much. A moment before, when my subconscious was controlling everything, they were swinging just enough to provide me with perfect balance. Now, I have no idea how much to swing them to keep me upright so, just to be sure, I overcompensate. This, I suddenly realise, looks ridiculous, so I stop swinging them completely and walk with my arms rigid at my sides. But this can’t be right… How do I do this normally? I have no idea. Then working my legs becomes a problem. Should I lift my knees this high? Or kick out more with my foot? Should I be leaning further forwards? Or back? And before I know it I’ve almost completely forgotten how to walk. Obviously I can still get to where I’m going, but now I might be walking like a gorilla or a scuba diver still wearing his flippers. I can also speak quite fluently. In almost any conversation I find myself involved with, words flow from me in the correct sequence and my avid listener is enriched with the knowledge of almost exactly what I mean. I don’t have to think about it. So, why, why in the name of all that is literally holy, is it so hard to write anything sensible? I believe that it’s the walking problem. As soon as I analyse what I’m doing, as soon as I worry that my meaning might be misunderstood, I’m doomed. An easy sentence to say becomes an impossible one to write. There are too many choices, too many wrong ways of expressing myself. A brilliant writer is like an amazing one-man-band strolling down the street, drum beating, cymbals crashing, ukelele strumming and mouth organ humming, all in perfect harmony. It looks easy and part of the audience’s delight comes from the fact that the music produced is not forced, it’s a natural product of the lithe skill of the artist. Oh how I wish I could write like that. This entry was posted in Writing and tagged one man band, talking, walking, writing. So Faber Academy run a #quickfic competition every Friday. They’ve been doing it for a few weeks now, but I’ve only just found out about it. This week, the challenge was to write a story in 250 words or less inspired by the canine idiot in the picture. I called mine “A Man’s Best Friend” and it’s an ironic insight into the human male’s disregard for relationships in the face of his single minded pursuit of more pointless projects. I thought it was quite clever in its meta qualities as I was obviously procrastinating by writing it. It took many, many hours spread over years to train him, but I finally did it. Jasper could smell an item of clothing inside his little, blue suitcase and determine who it belonged to in a room full of strangers. It was our party trick. 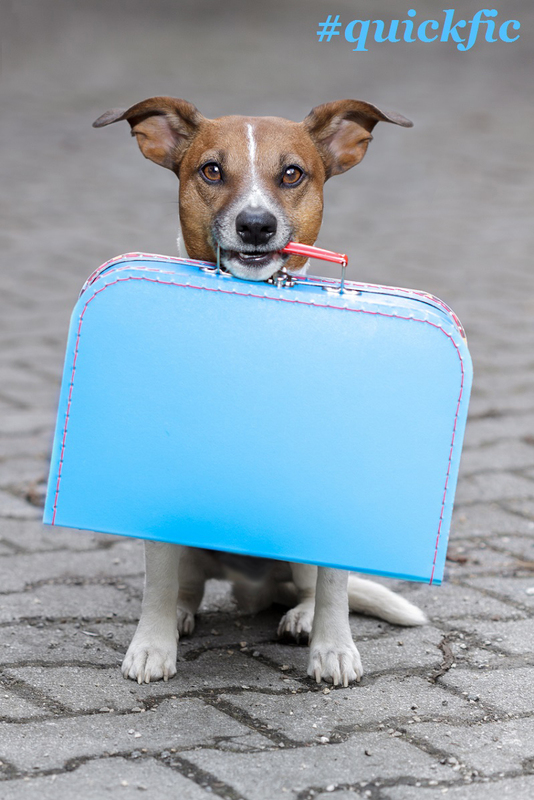 He’d hold the suitcase in his mouth, sit on his haunches and take a few moments to stare at everyone before him, considering. Then, with a confident flick of his tail he would take the suitcase to the owner of the item. He was always right. It was like magic. I loved showing him off at parties. I’d get him to do it ten times over the course of the night, and all our guests would be delighted. Yesterday I was surprised to see Jasper sitting on the cobbles opposite the cafe I’d stopped at for lunch. He was staring at me, with his suitcase hanging daintily from his mouth. As if triggered by my attention, he jumped up, trotted towards me and dropped the suitcase at my feet. I looked around to see if I could spot my wife grinning from some hidden vantage point, but there didn’t seem to be anywhere to hide. I lifted the suitcase onto my table and opened it. Inside there was a pair my socks with a note pinned to them. I scratched Jasper’s head and wondered how he’d managed to find me. This entry was posted in #QuickFic, Writing and tagged Faber Academy, procrastination, quickfic, Short Story, writing. With that in mind, I started this year’s NaNoWriMo. I had a quick look at a map, decided on a destination and set off. To begin with I was trundling along a wide dual-carriageway. I kept to the inside lane as there were a lot of NaNoWriMo drivers speeding past me, some of them churning out word counts that led me to believe their cars were powered by rockets rather than an internal combustion engine. But I was not worried, I had a good idea of where I was going. After the intial fuel of optimism had begun to run out, I turned off the main road and found a service station where I filled up with determination. I set off into the night again and joined a nice country road, easily wide enough for two juggernauts to pass. I drove on, perhaps even faster than before, and a real belief began to swell up inside me. Then, as I approached a critical juncture, it began to rain and the range of my headlights reduced to barely more than a few metres. They began to pick out plot-holes in the road and I felt isolated by the darkness. I took a few turns and ended up bouncing along a single lane track with no idea where I was. I crawled onwards, barely moving, sensing that if I went too far in the wrong direction I’d ruin the journey so far. I pulled the map out of the glove compartment and tried to work out where I’d gone wrong. I traced my finger along the dual carriageway and found the fuel station where I’d filled up. But from there it was difficult to make out. Huge blobs of concept seemed to be obscuring the details, making it almost impossible to work out how to proceed. I pulled out a set of pens and neatly, perhaps over dramatically, highlighted the route I’d taken so far. Taking out any slight wobbles there might have been on the original journey and adding a couple of detours which hopefully will improve it. Unfortunately, I’m still there. Stuck in this field of despondency. In front of me the road, such as it is, disappears into a quagmire. To either side are thick hedgerows which seem to offer no way through. The only way to continue seems to be to retrace my steps, but that’s not in keeping with the ideology of NaNoWriMo. I pull out another, smaller map and begin to plan another journey. This one is more of a ramble that I can walk all the way round in a morning. Yes. I can see the route of this one much more clearly. 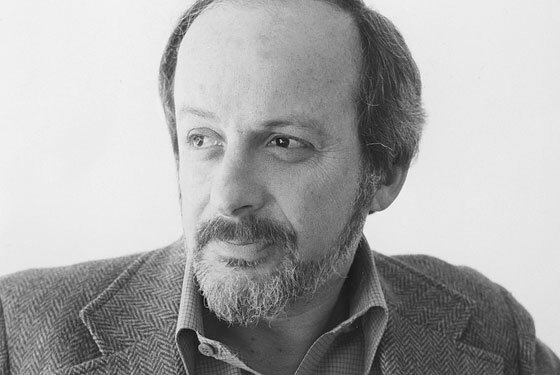 This entry was posted in The Book of Lies, Writing and tagged E.L. Doctorow, NaNoWriMo, writing. There is a beautiful valley nestling in the foothills of some faraway mountains. Waterfalls cascade down from the alpine forests that overlook the spectacular crags. The silver river meanders past orchards and lush green meadows, leading eventually to a tiny, picturesque village called, let’s say, Rimbleflimpleton. The villagers are a happy bunch. None of them are rich, but no one wants for anything because there is enough of everything to go around and each family has a specific job to do. The Smiths do all the blacksmithing, the Bakers do all the baking, the Coopers do something or other, and the Shepherds look after all the sheep. They were a nice family, but nobody really liked Mr Shepherd. At the village meetings he would always want to talk about things that nobody else was bothered about. They might want to organise the summer festival, while he would argue that the festival money should be spent on a higher wall around the fountain. If they wanted to upgrade the Christmas lights for the enormous tree they had every year, he would try to convince them to improve the electrical wiring. And so on. It was the same at home. All the children in the village had huge climbing frames in their back gardens. All except young Peter Shepherd. The only toy he was allowed to play with was a woollen blanket and that was taken off him when his father found him trying to make a swing with it. “It’s just too dangerous, Peter. You could end up strangling yourself.” His father had said. The only time Peter was allowed to do anything unsupervised was when he was carrying out his duties looking after the sheep. Out in the Lower Pasture he was far enough away from the village for his father not to know what he was doing. Sometimes his friends would come out and they’d play football. Other times he’d just run around blindly, enjoying the mindless danger of not looking where he was going. He’d often fall over and roll down the hillside. He couldn’t help laughing when he did that. “Oh. Right. OK.” Peter said. The next day when Peter was supposed to be watching the sheep, his friends came out to play football. And while they were playing three of the fattest sheep wandered out of the Lower Pasture. A while after his friends had gone home, he noticed the missing sheep. They had left an easy trail to follow because they were so fat. Peter realised immediately that they’d escaped to the Middle Pasture where the Badgerwocky lived. Peter was frightened. He didn’t know what to do. He would be in serious trouble if he went back to the village without the three fattest sheep but, on the other hand, he didn’t want to be eaten by a monster. After a few minutes he decided to climb the tallest tree where he’d be able to see into the Middle Pasture. He clambered up, hauling himself from branch to branch. He’d never been allowed to climb a tree before because his father had told him it was very, very dangerous. When he got to near the top, he looked to the north and saw the Middle Pasture. He had expected to see burned bushes where the Badgerwocky had breathed its fiery breath and huge gouges in the ground where it had raked its terrible claws. But it was not like that. It looked beautiful. Lovely long grass swayed beneath some little apple trees. A stream trickled down from the Upper Pasture, babbling through the meadowsweet and daisies. And three sheep grazed in the centre, untroubled and peaceful. Peter watched. He expected a tornado of whirling claws and gnashing teeth to hurtle across the meadow and devour the sheep, but nothing happened. Peter waited for a while. Still nothing happened. Eventually he climbed down the tree and crept into the Middle Pasture. The sun was beginning to touch the high mountains surrounding the valley, and the shadows were lengthening. It suddenly occurred to him that perhaps the Badgerwocky only came out at night. Each of his footsteps seemed to echo around the valley, ricocheting off the high cliffs like a gunshot. Surely, if the Badgerwocky was anywhere near by it would come swooping down and gobble him up. When he reached the stupid sheep they greeted him with loud bleats of happiness. He tried to quieten them down and herd them back to the Lower Pasture. Reluctantly, noisily and slowly the sheep made their way back. Peter was dripping with sweat when they finally set foot back onto the short grass of the Lower Pasture even though the night was turning cool. He rounded the rest of the flock up and hurried back to the village. It was almost fully dark by the time he got back. His friends saw him first and ran up to meet him. Peter was so relieved to be back he could barely speak. There was a moment’s silence and then his friends burst out laughing. Peter was glad it was dark because his face flushed bright red. He felt so stupid. Now he was safe within the village the idea that a flaming eyed monster prowled the Middle Pasture seemed utter mimsy. That evening, Peter and his father had a row. It took a while, but Peter forgave his father for telling fibs and over the next few weeks he took the sheep regularly up onto the Middle Pasture to graze. They loved the greener grass and buttercups and clover, and got bigger and fatter than ever. So, a few more weeks went by until Peter fell asleep on a sunny afternoon and the three fat sheep wandered out of the Middle Pasture, up the rocky path and into the Upper Pasture. When he woke up, Peter realised what had happened and climbed the tallest tree to see if he could spot the errant sheep. Sure enough, they were munching their peaceful way through mounds of the most succulent looking grass and forbs Peter had ever seen. He watched for a while, waiting for the Fruggalo to bound across the field and rend the animals apart with its terrible tusks, claws, teeth and jaws, but nothing happened. He waited for a while. Still nothing happened. Once again Peter clambered down the tree and crept into the Upper Pasture. His footsteps seemed to make even more noise this time and he had to creep further. The three fat sheep carried on eating when he got to them and it took all his shepherding powers to convince them to come back down with him. He was shaking with unspent adrenaline when they reached the flock and he wasted no time hurrying them all back to the village. His friends met him on the main street. That evening, Peter and his father had another row. Peter forgave his father after a while and before long he was herding the sheep between all three Pastures. They’d have breakfast in the Lower, lunch in the Middle and then dinner in the Upper. And they all got really fat. In the Upper Pasture there was a trail that led into the Deeping Woods and although it was quite dark beneath the canopy of trees Peter could see the most beautiful cowslip growing there. The very next day Peter went straight past the Lower Pasture where the sheep wanted to eat their breakfast, and then straight past the Middle Pasture where the sheep wanted to have their lunch, and then straight past the Upper Pasture and into the Deeping Woods. This is an excerpt from my NaNoWriMo effort “The Book of Lies”. I’m currently on 8387 words and I should have written about 16,666 by now. Any thoughts, encouragements or comments are always welcome. This entry was posted in The Book of Lies, Writing and tagged NaNoWriMo, The Boy who cried wolf, The Gruffalo, The Jabberwocky, writing. Before the Church sold the Old Rectory, the last person to live there in an official capacity was Reverend Woolsey. He died in 1913 and legend has it that the house and its history are what killed him. It has always boasted a reputation for ghostly goings on. Stories of the Lonely Nun and the Headless Coachman have haunted Rothwell for centuries. Woolsey, in a bravely ironic effort to convince his parishioners that ghosts didn’t really exist, was the first and last person to research the phenomena that blighted the house. The rectory itself dates back to the late eighteenth century and is built in the grounds of an old Benedictine monastery. Less than a mile to the north, in Rushmede Woods, you can find the ruins of what used to be a nunnery. In the Middle Ages monasteries and nunneries were popular with parents who had to feed too many children and so often the novices didn’t really want to be cloistered inside these walls of faith and silence. And there was the terrible temptation having a group of likeminded but oppositely sexed people almost within earshot. In those days the rules against fraternisation between the young novices were draconian and the punishments harsh beyond reasonable measure. A monk caught having romantic liaisons with a nun could be hanged while the nun would be “sent away for her own good”. It was common knowledge that being “sent away” meant drowning in the pond using the old ducking stool. Anyone found guilty of aiding and abetting the lovers would be sentenced to death by beheading. Despite these threats and bafflements human nature sometimes wins out. And it never won out more tragically than in the case of young Martha Godwin. Martha was of good stock, from a rich family which had close ties to the crown. She was the eldest daughter, which implies that she chose to become a nun, rather than being forced. Reverend Woolsey uncovered two more pieces of information pertaining to Martha. The first was her death on 31st October 1506 – the day before her twenty-first birthday. The entry in the parish records describes in grisly detail how she was found “drooned and blyted in ye old fishe pond.” Somewhat chillingly, it is marked as an accidental death. A few days later, she was named as a “base fornicatrix” in the execution records describing the beheading of the coachman Jack Tally. Reverend Woolsey discovered and pieced together all these facts and came up with a convincing narrative. Martha came to the nunnery of her own free will, but before long had fallen in love with one of the Benedictine novices. He remains nameless in the court and parish documents. It’s impossible to know how long this love blossomed in secret, but it seems obvious that eventually, with the help of the local coachman, plans were made to flee from their respective cloisters and start a new life together. Why and how these plans went awry is also a mystery, but Woolsey gives two explanations for the failure. The first is bad luck or just poor planning. The lovers were discovered and brought swiftly to the justice of the day. In his notes, he dismisses this as unlikely, due to the “continued nature of the supernatural effects perceived at dusk”. This is particularly striking given his initial, sceptical reason for his research. The second explanation he gives is more unpleasant. Perhaps, because the monk is nameless, he reported his affair to his superiors and they set a trap for the hapless nun and the coachman. Woolsey seems to favour this because it fits with the sinister aspect of the apparition which roams near the pond every Halloween. A young nun wanders aimlessly around and around the pond. It seems fearful of the water, yet fascinated. Gradually it grows more agitated until it begins to moan its anguish into the night. “Betrayer!” This is the only clear word amidst a babble of a thousand others that carry on the wind, sometimes as far as the house, sometimes further. It is said that if a man hears that voice on All Saints Eve he shall not live to see the morning. The Reverend Woolsey was found dead in the bedroom that overlooks the pond on the 1st November 1913. His doors had to be broken down because they were locked from the inside and he had placed heavy furniture against them. This is an excerpt from my NaNoWriMo effort “The Book of Lies”. I’m currently on 4200 words and I should have written about 8000 by now. This entry was posted in The Book of Lies, Writing and tagged Excerpt, NaNoWriMo, writing. Oh how cunning people are! In the last post I said that I was addicted to checking how many pre-orders “Entering the Weave” has got. It not a very fun game, but it’s compelling and I’ve almost managed to wean myself of it by restricting my viewing to between 7 and 8 o’clock in the evening. I am not being helped by my nearest and dearest. My daughter insists that I should tuck her in to bed every night. Some people might say this is cute, but she is quite capable of tucking herself in. And if you had to haul yourself off the sofa, drag yourself all the way upstairs, tiptoe over the mess that she’s made and then give her numerous cuddles and kisses, you’d know how annoying it is in reality. The other annoying thing about it is that she’s never quite ready for me when I get there. She’s still pottering about in her room, or organising her teddies or rooting around for some pyjamas. This is literally minutes after she’s been sent to bed and then called out that she’s ready to be tucked in. I usually shout at her for her lack of organisational skills. Or berate her for not being in bed quickly enough and if she’s not ready for her cuddle in two seconds then she can’t have one for that day. And it’s her own fault for being so selfish. So, last night we went through the usual rigmarole which ended up with me shouting at her because she couldn’t find her stuffed rabbit. Obviously, that’s just what I did. And an hour later she was ready. This entry was posted in Entering The Weave, Writing and tagged Britain's Next Bestseller, children, writing. I feel like an addict. I’ll just have a quick look to see how many pre-orders there are for “Entering the Weave”. And I’ll refresh the page a couple of seconds after I’ve arrived just in case someone has ordered one in the few seconds it took me to read the number. At home, on my way to the bedroom or the bathroom or sometimes for no reason at all, I’ll detour into the study and have a quick look. At work, sitting in front of the computer all day, it’s hard to keep the checking down to once every ten minutes. I have determined that this must stop. But it’s hard. And it’s made harder by the fact that I should be actively trying to promote it. With one half of my brain I’m dreaming up schemes to fool people into buying it. With the other I’m now trying to not think about it. Here is my plan. This month, October, I’m going to finish “Charlie’s Worries”. Then in November I’m going to try and break my record in NaNoWriMo. 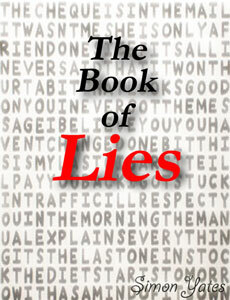 (I wrote 661 words out of the required 50,000 so it shouldn’t be hard) I’ll write “The Book of Lies”. Then in December and January I’ll get as much of “The Motley Life of Edison Swift” onto paper as possible. During this time I shall only allow myself one hour of social media promotion and pre-order checking of “Entering the Weave” at 7pm every day. The diet starts tomorrow… wish me luck. This entry was posted in Charlie's Worries, Entering The Weave, The Motley Life of Edison Swift, Writing and tagged Britain's Next Bestseller, NaNoWriMo, waiting, writing. I have moaned before, and at length, about how distracting it is when you’re waiting for news about a submission. To recap: it’s horrible. Every email is a potential dagger through the heart, or, less likely, the news you’ve been waiting for since before you can remember. Now, I have discovered a new torture – a new way to waste my time. 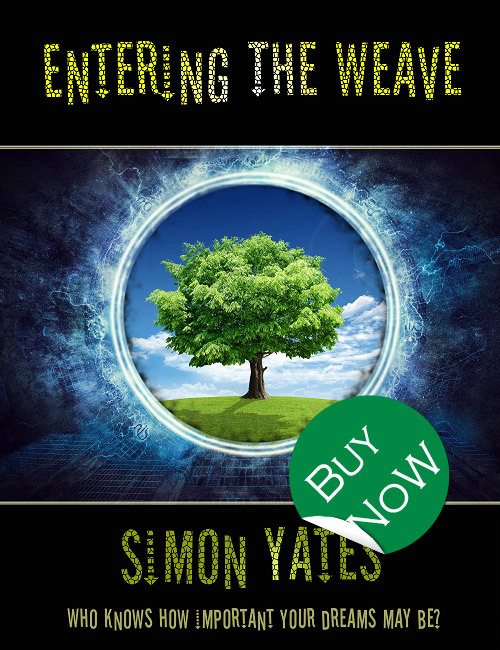 Britain’s Next Bestseller launched the pre-order page for “Entering the Weave” today. This is undoubtedly a good thing for me. Excited does not come close to describing how I feel. You’d have thought that being an almost published writer I’d be able to think of exactly the right word, but today, and probably every day for the next sixteen weeks, I can’t think about anything other than whether someone else has pre-ordered it. Kind, clever people have currently pre-ordered 10 copies. Hang on. No. It’s still 10. And this is brilliant! But until that number edges over 250 my life of fulfilment and active enlightenment is over. I’m going to be spending every waking hour counting. Really, really slowly. Another unbelievably exciting thing happened today regarding the book. I discussed the possibility of going to a local school and talking to the kids about it. The headmaster was incredibly positive about it and said there were many facets of the process that the children would find interesting. Not just the obvious literacy angle, but also the real life process of someone actually writing a novel, and the various routes to publication. Hopefully this will happen during the week beginning 10th November. This, as much as seeing “Entering the Weave” available for pre-order, has made me feel like a real writer. Day one almost over, and do declare it to be a success. This entry was posted in Entering The Weave, Writing and tagged Britain's Next Bestseller, School visit, writing. For my thirteenth birthday I got a typewriter. I loved its clunky mechanics and the artful complexity required to load it with interlacing sheets of foolscap and carbon paper. I wrote dreadful stories on it based almost entirely around a hero who was always too good to be true. In my teens I read voraciously. And I’ll never forget the bittersweet pleasure of realising that there were only twenty or so pages of Diana Wynne Jones’s “The Power of Three” – the mixed emotions of feeling the width of the remaining pages dwindle to nothing. On one hand I wanted to finish the book – to devour all of its secrets, on the other I knew that once the final page had been turned reality would once more intrude and the magic of another first read would disappear forever. There was a wealth of children’s writing that furnished me with a more mature view of fiction. The hero was never perfect, the villain never entirely evil. So with my trusty typewriter I developed more realistic, although still fantastical words and worlds. As adulthood approached I learned how to make a living. I wrote computer programs during the day which paid the bills, and wrote nonsense at night which fed my spirit. I sent some short stories off to Interzone and gained quite a rapport with the editors, especially Lee Montgomerie who was always very encouraging about what I sent, but never so encouraging as to publish anything. Looking back at my competition I can understand why. In my thirties children took up most my time. But the rare moment of quiet would always be spent dreaming – conjuring words together to please myself and perhaps an avid fan of mine at bedtime. And then I turned forty and the words began to explode onto the page. I had more time, and more focus and almost before I knew it I’d finished “Entering the Weave” A decades long process of idle thought and frantic life mashed together with my ever present desire to emulate the heroes of my childhood. So thank you Alan Garner, Susan Cooper, Lloyd Alexander, CS Lewis, JRR Tolkien and every other hero of mine. The inspiration for “Entering the Weave” is a study in how a finished product can be entirely different from its initial conception. I had two ideas. One was complicated and I eventually discarded it because it was too difficult. The other was simple and it gave rise to all of the concepts and ideas in the book. The simple idea was that I liked the name Trinity Vale. It sounded quite mystical. A place where the dreams of all the living things on Earth might coalesce to form a natural virtual reality of memories. And this place, this Trinity Vale, would be an accessible heaven, a place where all our loved ones could reside forever. 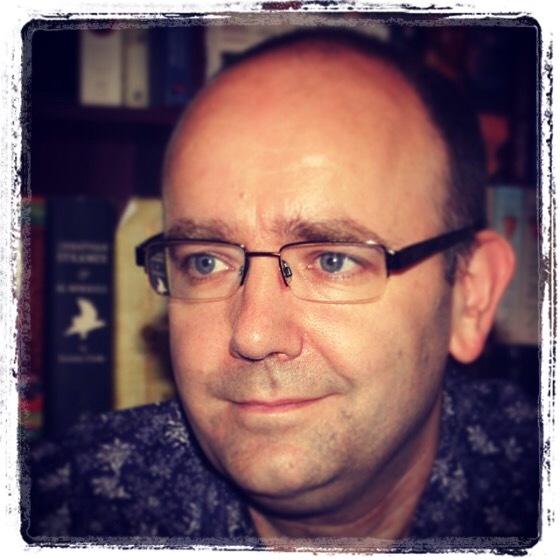 This entry was posted in Entering The Weave, Writing and tagged Alan Garner, CS Lewis, Diana Wynne Jones, Inspiration, JRR Tolkien, Lloyd Alexander, Susan Cooper, Trinity Vale, Typewriters, writing.